There’s no doubt about it: it’s very easy to claim that we’re the best. All it takes is a few clicks on the keyboard and suddenly we’re the most amazing boat trailer manufacturer that’s ever been and will ever be. 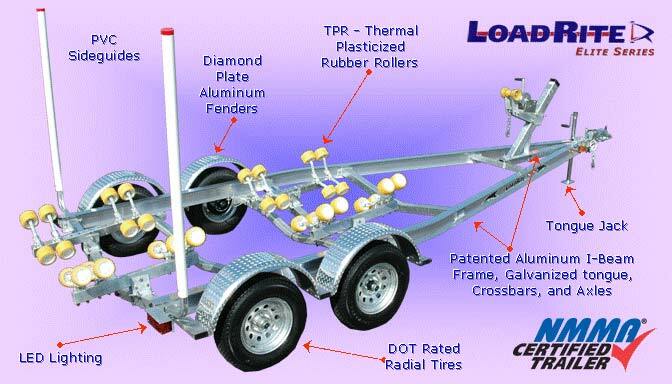 So let’s back it up with some facts about why we’re sure a LoadRite boat trailer is right for you. Endorsed By Transport Canada – When every last trailer you make ends up traveling across the roads and highways of Canada, it’s good to be up to the standards of those who are making the roads and highways! LoadRite is one of only five companies in Canada who has earned the “Most Trust Status” in the pre-clearance auditing process. The Military Trusts Us: LoadRite supplies trailers to the Canadian Department of National Defense for use in transporting military equipment. In fact, we’re the only supplier who has met all of the strict requirements to supply combat application trailers. We’ve Been At It For More Than 35 Years – LoadRite has been making and distributing boat trailers, utility trailers, and car haulers across North America for a long time now. We started out with the goal of not just competing with the competition but to rise above it. We do this by constantly investing in new technology and manufacturing methods so that we can build a smoother-riding, longer-lasting boat or utility trailer. LoadRite’s devotion to innovation and quality have gained the trust of government agencies and everyday citizens alike, and we know that we can gain your trust too. Stop by one of our three distributors to find the right trailer for you.